There are so many ways to have fun at Indian Hills Camp! Check out our activities and contact us to for your next event booking! *Must be 18 or older to rent equipment; deposit required for all rentals. Fun for all ages, the farmyard is home to a wide variety of animals including bunnies, Flemish giants, chickens, pigs, mini horses, peacocks, a giant tortoise, goats, and mini donkeys. The animals are friendly and some are available to pet. The camp has short hiking trails available around our 60 acre property. Hikes take about 20 minutes and appropriate for children. Some trails will accommodate mountain bikes. We For those adventurers wanting a longer hike or bike ride, we are also adjacent to Hollenbeck Canyon Trail. One of the most unique features of camp, is our large playground with wooden play structures that is fun for all ages! Features a pirate ship and a giant tree house slide that is sure to be a hit. One of the only pump tracks in San Diego, this BMX track is a thrill for bikers of all experience levels. Riders can make it to the end of the track without any pedaling; more experienced riders looking to get a little air can work up some speed to hit the jumps. Have younger riders? Check out this Junior Bike Track to get a little practice in before they hit the big track. If you enjoy snowboarding and skateboarding, then come and shred dirt on a mountain board! With a mix of balance, skill and sheer adrenaline, come show off your skills and have a blast. Mountain boards and safety gear available for rental in the camp store. Our 18 hole Frisbee Golf course is a great way to see all of the camp. Bring your own Frisbee/Disc or rent one at the camp store. Score card and course map available at the store. Our grass field is perfect for soccer, football and many other games for kids. We also have a volleyball court, a basketball court, and sports equipment for rent at the camp store. IHC is home to two pools. Our North Pool capacity is 70 people and is 4.5 feet deep. It includes a wading pool perfect for small children. The South Pool capacity is 40 people and gets up to 6 feet deep. Both pools are available for general use and the South Pool can be rented for private use if booked in advance. The pools are only open seasonally, from April to October and are not heated. Please note, we do not have lifeguards on duty (except during Summer Camp and Sixth Grade Camp). 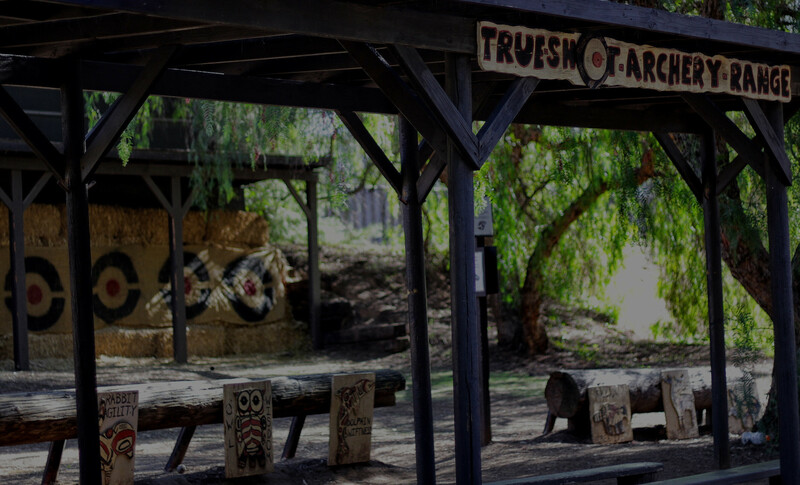 Take your best shot at the archery range. Bow and arrows are available for rental in the camp store for an hour at a time. You may bring your own equipment; compound bows are prohibited. This activity requires group size minimum for instructor and must be booked in advance; additional fees apply. Team up and go head to head with your opponents in a life-size Foosball court. Available for rental only for up to 2 hours per game. Perfect for thrill seekers, this 300 foot zip-line ride includes all safety equipment and trained staff. Each rider will receive 2 rides. Zip line is included in the program for Summer Camp and Sixth Grade Camp, otherwise requires group size minimum and must be booked in advance; additional fees apply. Practice target shooting at the range. The activity includes safety instructions, markers, masks, and 100 rounds. You must use our paintball equipment. This activity requires group size minimum and must be booked in advance; additional fees apply. Put on your game face and take aim. Our instructors will take your group out to the paintball field for 2 games. Eacher player will receive 200 rounds. Masks and markers included. Participants must be 13 years or older. This activity requires group size minimum and must be booked in advance; additional fees apply. Indian Hills Camp is a non-profit camp that operates to reach and teach children for Jesus Christ through a traditional camp experience.